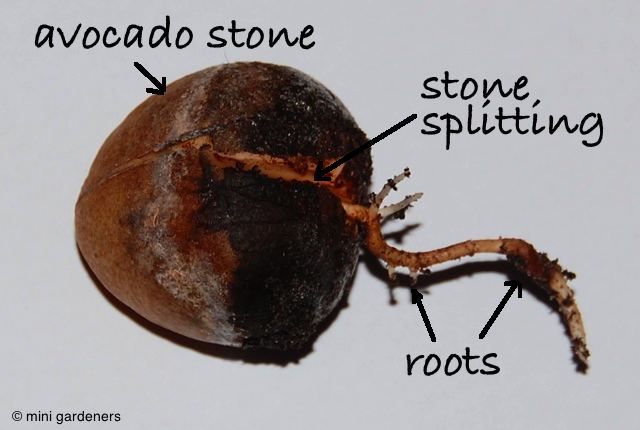 We’ve never had any success in getting an avocado stone to germinate with that complicated cocktail-stick- suspended-over-a-glass-of-water method. Several people have assured me it’s nothing to do with my gardening skills (I was beginning to wonder) but that it’s far easier just to sit the stone on top of a pot of compost. So that’s exactly what we did. And because it was a bit chilly we popped the pot into the heated propagator which happened to be on because we were germinating some seeds. Categories: experiments | Tags: avocado, grow | Permalink. And in the very best Blue Peter tradition: here’s one I made earlier. Just to be clear, I don’t normally make Mother’s Day gifts for myself. 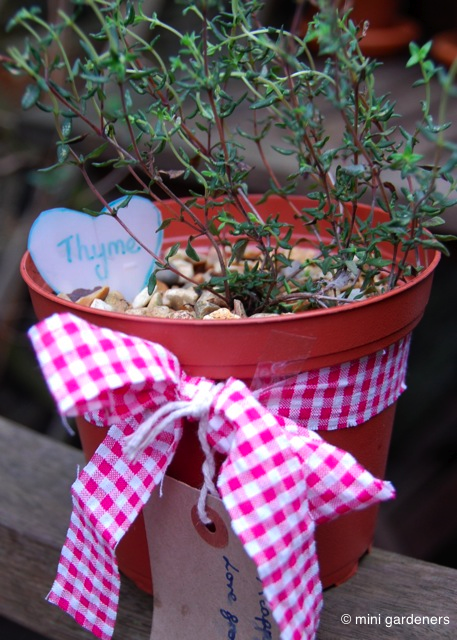 This pot of thyme was a prototype for a school gardening club session. And as I asked one of my daughters to write the gift tag, she decided I may as well have it on Mother’s Day. So the school gardening session went well. There was a bit of gardening (repotting a plant into a larger pot), a spot of spelling (thyme not time on the plant label) and some life skills too (tying a bow, by far the hardest part – I blame velcro shoe fastenings). And now I’m sat here on Mother’s Day wearing a handmade bracelet, eating home baked cookies with ENORMOUS chunks of chocolate (my daughters know me well 🙂 ) and admiring my thyme plant. Hope your Mother’s Day was full of lovely things. 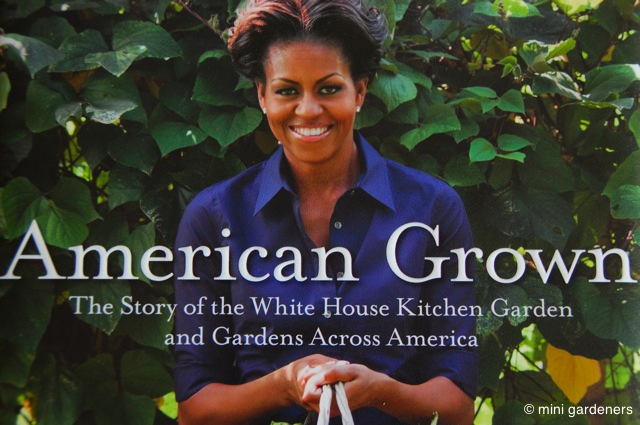 Categories: herbs, school gardening | Tags: mother's day, thyme | Permalink. Am always on the look out for ideas to entice my children to spend more time at the allotment, and the latest weapon in my armoury is alpine strawberries. These are miniature strawberries packed full of flavour that many adults find tedious to harvest – partly due their size and partly due to the fact that they crop little and often, compared with full sized strawberries which often have a bumper crop over a few weeks. My cunning plan is to edge a whole bed with these dainty berries to provide a distraction at every allotment visit during the summer. And because I need a lot of plants I’m growing them from seed. Well so far, so good. 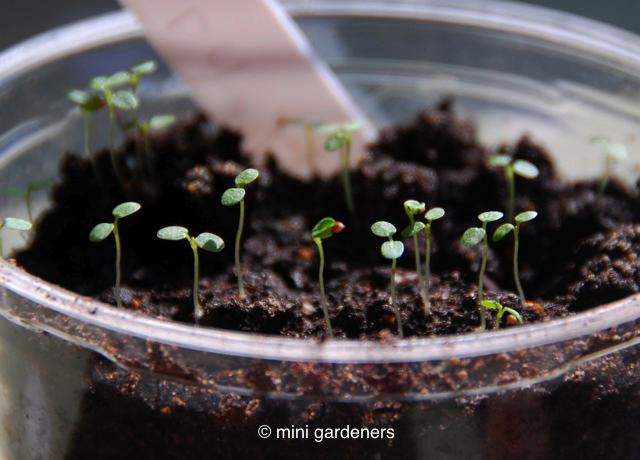 Two and a half weeks after sowing plenty of little seedlings have emerged. Just waiting for the second set of leaves to appear before transplanting them. I’m growing a cultivar called Mignonette (Fragaria vesca ‘Mignonette” if you want the full name) which apparently has good flavour but may not be quite so prolific as others. Oh, and Thomson and Morgan say they’re perfect to pop into a glass of champagne. What’s not to love? Categories: plants for children, strawberries | Tags: allotment, alpine strawberry, Mignonette, seedling | Permalink.